Ulster University is based in Northern Ireland, with four distinct campuses in Belfast, Coleraine, Jordanstown and Magee (Derry~Londonderry). Each campus offers an individual experience; from the energetic and eclectic nightlife of Belfast, to the majestic and breathtaking scenery of the Causeway Coast. As a student at Ulster University, you will have access to some of the most renowned locations anywhere in the world! 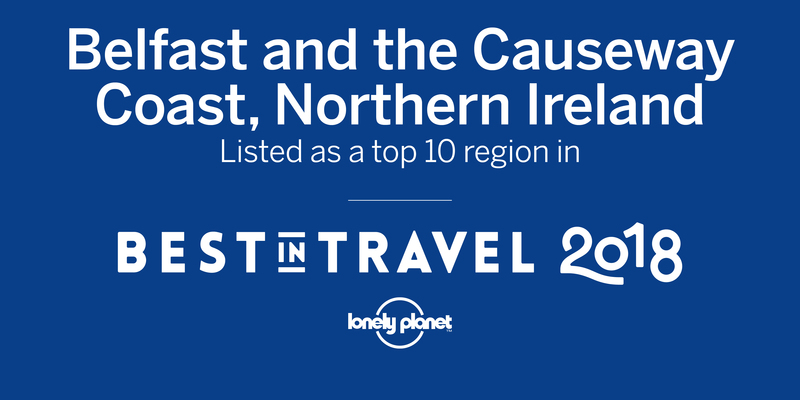 Nowhere gets you closer to Game of Thrones than Northern Ireland. It's home to countless Game of Thrones locations, including Dragonstone, the Haunted Forest and Winterfell, where you can meet direwolves, learn archery on the exact spot as Jon Snow and set sail across the Narrow Sea. Bridge the gap between fantasy and reality and immerse yourself in the Westeros by visiting the locations of Winterfell, the Kingsroad or Riverun. Not to be missed on any itinerary is this geological wonder which gives the route its name. The Giant’s Causeway, located in close proximity to our Coleraine campus, is Northern Ireland’s only World Heritage Site, famously steeped in myth and legend. Rated as one of the Top Five Road Trips and when you drive it, you’ll know why. Start in Belfast and follow the coast road through the nine Glens of Antrim, winding between picturesque villages and unforgettable scenic locations.